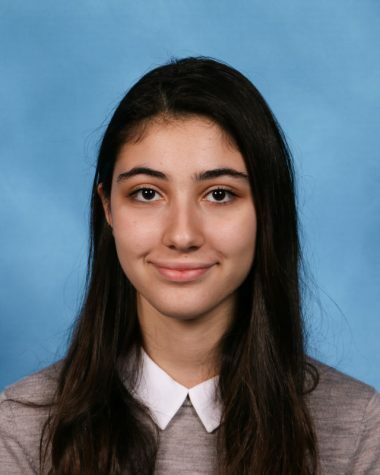 Celeste Abourjeili is the Arts & Entertainment Editor for ‘The Science Survey’ and a People Section Reporter for ‘The Observatory.’ She has a passion for journalistic writing because it enables voices and stories to be heard. Celeste is interested in photography because it captures moments and tells stories in unique and creative ways. Outside of academics, Celeste has a profound interest in fashion, politics, and languages. She interned for City Council member Ben Kallos in the summer of 2017, and she has been on Bronx Science’s Speech and Debate team for three years now. Celeste is also an avid supporter of human rights, and she is currently a Varsity Coach for Bronx Science’s Model UN team. Celeste is not yet sure about where she is going to college, but she wants a career that enables her to solve some of the fundamental problems with society. She wants to study political science and is considering working in journalism or the UN.